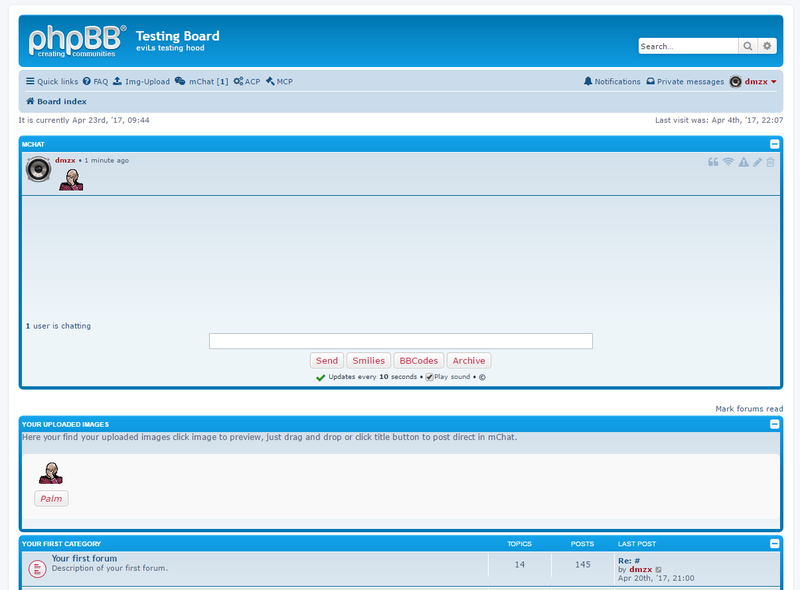 This extension will add an upload system for images to your forum. This will allow you to host your own images from your server rather than use a 3rd party. Set permission for groups, default only admin group can upload images. Before you update backup you files folder in the extension folder! 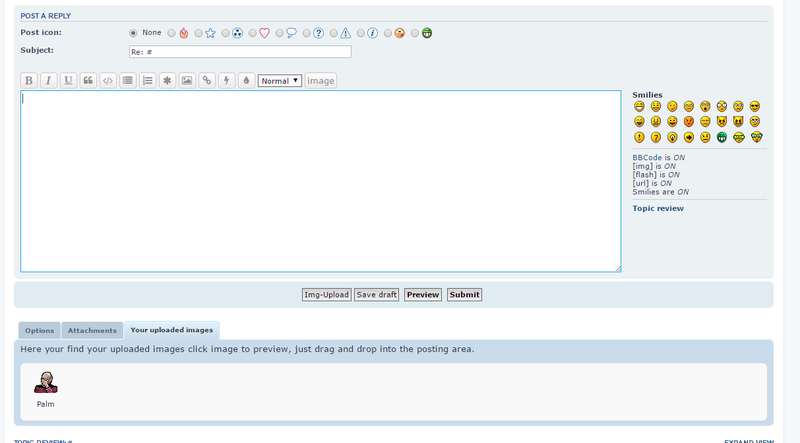 Added scroll bar in UCP if large amount of images are uploaded. Added button in posting topic for IMG direct in post. Changed code for close conflict with boardannounce . Added code for members to see own uploaded images. On posting page and Index page. 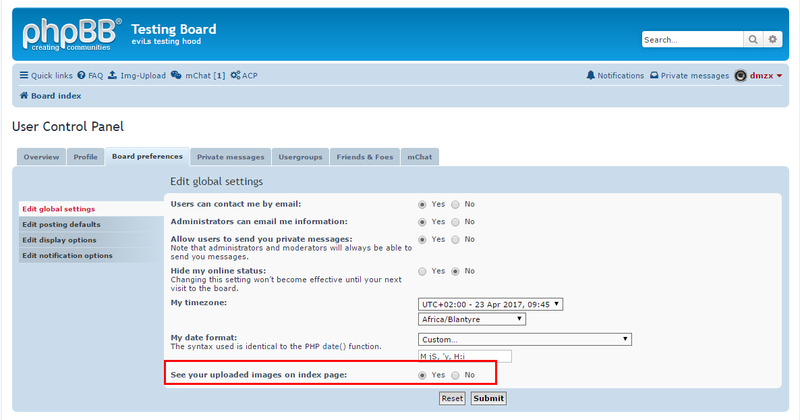 Added UPC setting for uploaded images on index to show for member. Note: You need to disable and delete data for this version. If you already use images make a backup from Files folder and place them back after update. Added md5 for file names. Added ACP option to see / delete images. Added a button on the posting page that open a nice popup. 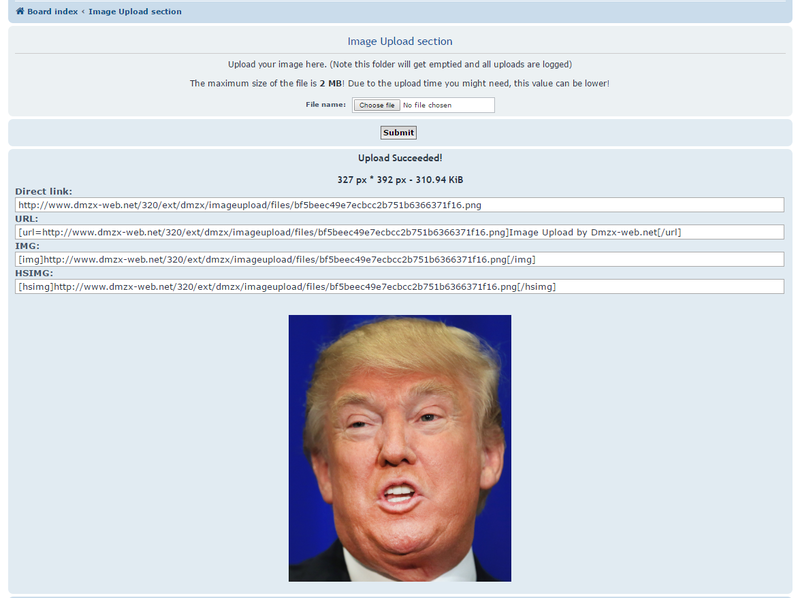 Added size and width/height to show on upload. Unzip the downloaded release, and change the name of the folder to `imageupload`. Look for `Image Upload` under the Disabled Extensions list, and click its `Enable` link.